Previous Video Realty News: Are Chinese investors pulling out of the American real estate market? 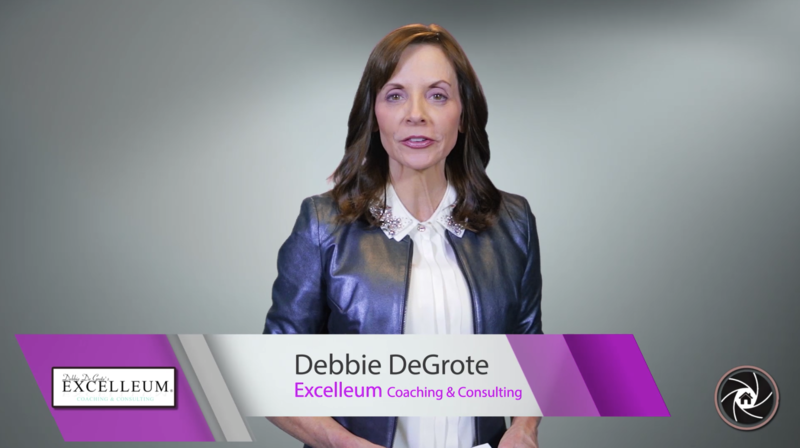 Hi my name is Debbie DeGrote and I’m the Owner and President of Excelleum Coaching & Consulting. Here with ReboReports and we’re doing a little bit more in our series of Debbie’s Tips. So why do many salespeople fail to achieve their goals? I think you all know the answer. They simply don’t prospect enough. Now what is enough? Well that really depends on what your goal is. It also depends on how aggressive and competitive your market is and it’s certainly depends on your skill. So agents ask me, “Well if I’m gonna set a minimum standard for myself of how many contacts I should make what should that be?” Ideally I would like to see you make at least 20 contacts today or a total above 100 week. Now for some of you that would not be enough because your goals are much higher. But it is a good baseline, a good minimum standard for most of you. Now for some of you who haven’t prospected at all, that seems like a lot. So start with five great contacts each and every day and work your way up until you’re at twenty. Let’s quickly define: What is a contact? that’s speaking to a decision making adult, eye or ear to ear. It’s not an email, it’s not a text, those are all good but if you really wanna be tough on yourself you really want to dig in you’ve got to talk to people. Now a contact though can be calling back someone to call in your sign, talking to someone at Open House, seeing a friend at Starbucks and asking for referral. So if you set your phone prospecting time aside and you make those contacts and you’re not quite at your 20, look for other ways throughout the day to talk to people about real estate and then you can count that as a contact. So remember 20 contacts today a 100 contacts a week would be a pretty good minimum for most of you. Talk to you soon on the next Debbie’s Tips. previous Realty News: Are Chinese investors pulling out of the American real estate market?